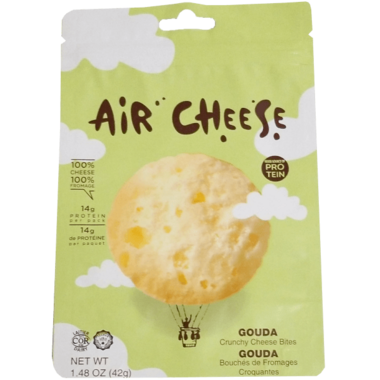 Air Cheese bites are made of premium natural cheese that is dehydrated and puffed through a special process resulting in a crunchy, airy and puffy good source of protein. With its unique texture and rich flavor, Gouda, pronounced “How-da” by its Dutch creators, is one of the most popular cheese in the world. 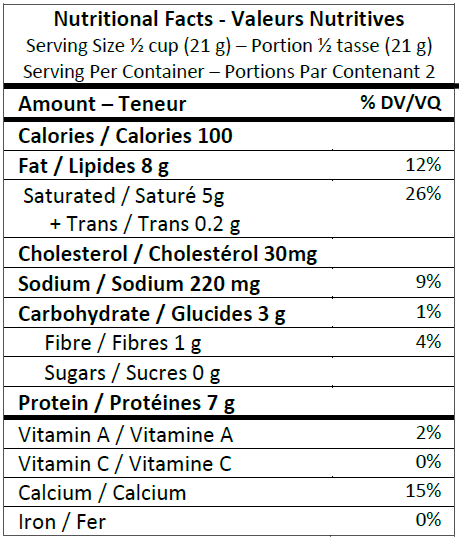 I'm on a Keto diet and I was looking for crispy, crunchy snack options. This fits the bill. It's a bit expensive for a small bag of bites, but they are satisfying. They are slightly greasy, but not enough to stain your hands with grease. They really taste of gouda and are rather flavorful. I like this. The flavour is light and crunchy. Itâ€™s great for snacking and to use as a replacement for croutons in salad. I really liked these!! I tried both the gouda and cheddar ones and GOUDA was def my fave. I didn't notice the plasticy taste mentioned in other reviews. I thought cheesy and tasty! One note is that I tried to save half a pack once and they were not nearly as good the next day. Do not buy. Felt like I was eating plastic. Threw away after trying three and this from a person that has no problem eating months after best before date has expired. These are a pretty good snack, but they do have a packagey plastickey taste to them that I didn't really like.